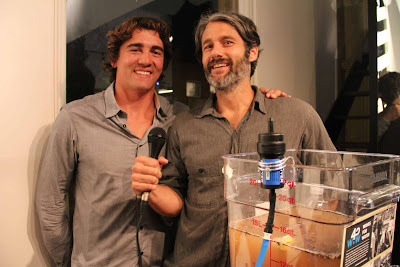 Pro-surfer Greg Long & Loomstate co-founder Scott Mackinlay-Hahn with the Waves for Water filter system. We've talked about Waves for Water here before, but we can't say enough about this great non-profit and its initiatives. At SRF+CTY, Waves for Water brought a bucket of dirty water (origins: unknown...), attached one of its filters, and encouraged all the partygoers to drink from it. Surprisingly, nearly everyone had a cup of this filtered water by the end of the night. 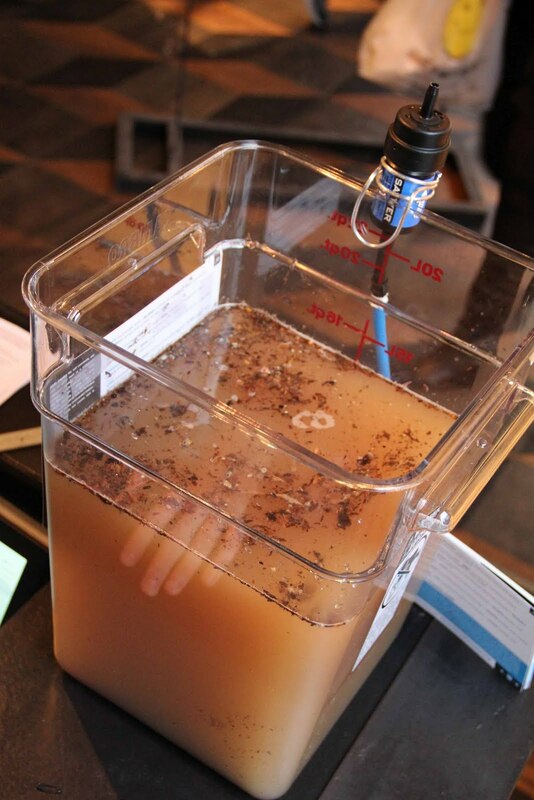 Optical illusion: That's not a severed hand in the water! Just a reflection of Soft Circle's Ben Vida's hand. We raffled off a 3-night getaway stay at the Four Seasons Costa Rica at Peninsula Papagayo (generously donated by the hotel), with all proceeds from raffle tickets going to Waves for Water. A portion of all SRF+CTY sales during FNO and SRF+CTY products will also go to the non-profit. 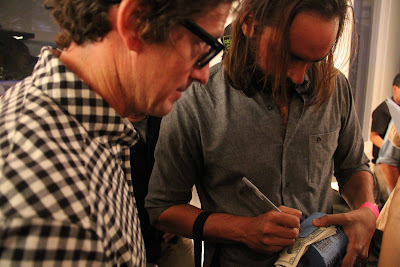 Chris Christenson buying a raffle ticket, proceeds benefiting Waves for Water. 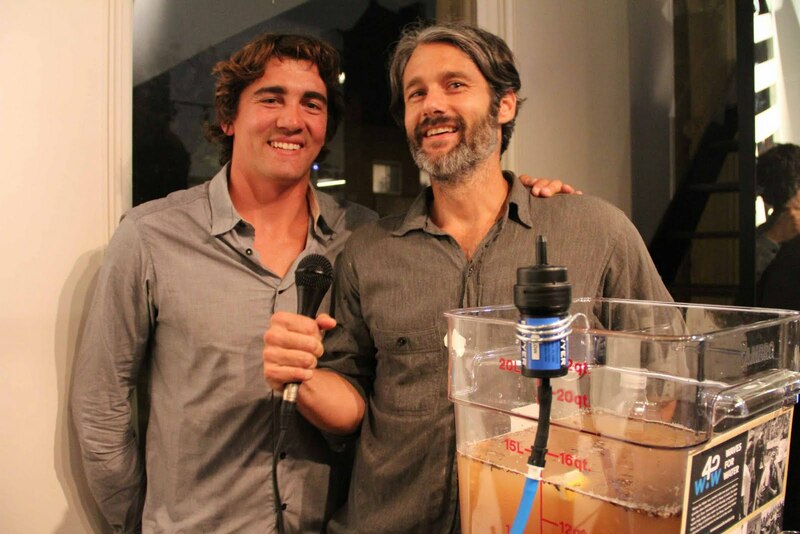 From our SRF+CTY collaborator pro-surfer Greg Long to our former intern Annie, we're surrounded by dedicated Waves for Water volunteers and there's good reason for that. Check out their website and how you can get involved beyond SRF+CTY!